Affordable house rents have been hard to find due to Australia’s property boom. But while rents rise in other cities Perth still offers some good-value housing. There are a range of suburbs in the metropolitan area where it is possible to find affordable house rents or unit rentals for less than the city’s average weekly price of $400. Suburbs such as Armadale, Wembley and Kelmscott offer the most affordable house rents in Perth, according to research by reiwa.com. Affordable house rents are getting harder to find. Across Australia the cost of renting a unit has increased at record levels in the first three months of 2016. Rents have risen in most capital cities despite an over-supply of property, especially apartments. Unit rents increased in Sydney, Melbourne, Brisbane, Hobart and Canberra. Western Australia may have been affected by the slowdown in mining industries but Perth is now Australia’s fourth fastest-growing city. And the cost of renting a house or unit has not risen to the same level as other cities. 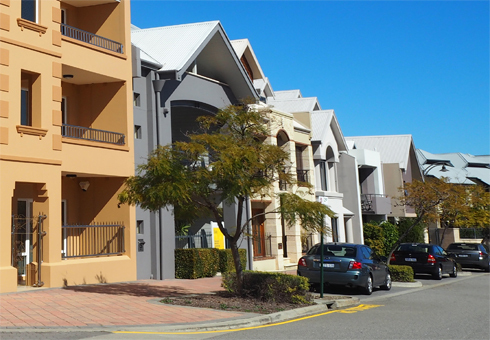 The largest growth in 2014-15 occurred in the outer suburban areas of Perth. Popular areas include Baldivis in the south-west that grew by 2,800 people while Forrestdale – Harrisdale – Piara Waters in the south-east attracted 2,600 new residents. North Coogee is the fastest-growing area in Perth having increased in size by 23 per cent to 1,700 people, followed by Forrestdale – Harrisdale – Piara Waters with 20 per cent growth. Outside of Perth, in the state’s south-west, areas recording the highest growth were Busselton and Australind – Leschenault.